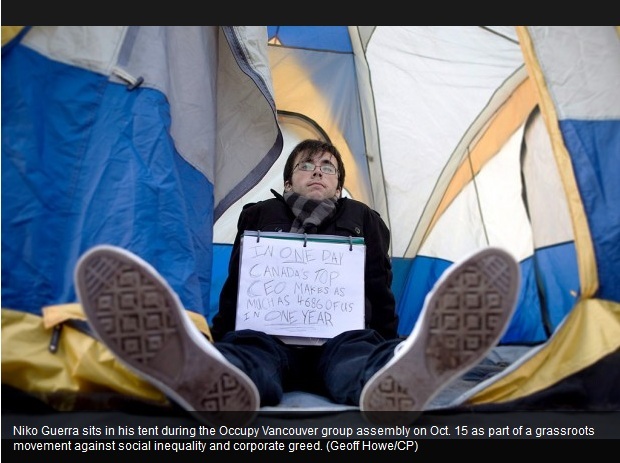 So far today I've had grand sport on Twitter ripping on the idiots at these Occupy events and their foolish signs. 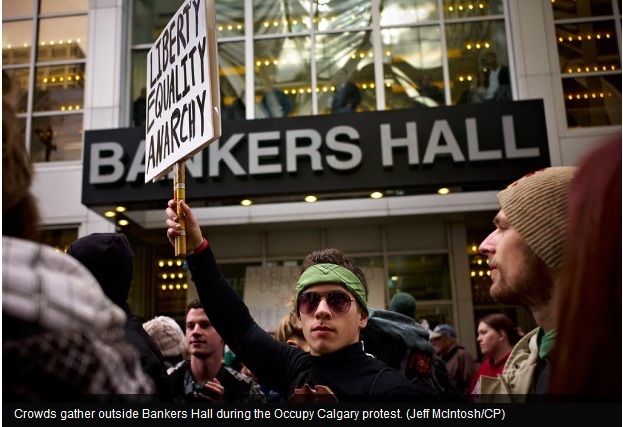 For some reason, Calgary's twitpic'ers didn't do much, so I had to grab a couple from the CBC website. This sign here features 2/3rds of the old French Revolution slogan of liberté, égalité, fraternité. Since this is Calgary, that's the most French you'll see on any of these signs. However, as we've seen from the Occupy movement, "fraternity" isn't high on these people's list of priorities. Caring for our future as a shared society? Screw that man, I'm in a union! So he's replaced it with anarchy. You mean like the kind of lawless society that would remove things like free tuition, banking regulations, or...overpaid CEOs? No wonder he removed fraternité, it was probably at Niko's request.